The Volunteer Fair is an opportunity to familiarize yourself with the many volunteer options in our community. The fair was inspired by the Common Read of Wine to Water, by Doc Hendley in 2015. Since then, the theme of volunteerism has been incorporated into course work as NIACC increases the focus on service learning in the curriculum. A wide range of service organizations will be present to share information on how they serve the community and how you can get involved. To learn more about the organizations in attendance, please click on the name below. This event will be held Tuesday, September 25, 2018, from 10:00 a.m. – 1:30 p.m. on the NIACC Campus in the Activity Center. Campus Ministry Association (CMA) exists to help college students find their purpose in life, make healthy choices, know that true love transforms lives and convey the answer to a hurting world around us. College is often a time in students’ lives when they encounter a greater diversity of ideas and experiences. Students will often discover and learn more about themselves and the world. The mission of Campus Ministries at NIACC to help students explore the world in light of God’s plans and purposes for them as they learn, grow and make a difference in the world. Campus Ministry at NIACC provides a great opportunity for you to meet new people and to form meaningful relationships. Club activities include weekly large and small group gatherings, an annual retreat and mission trip, Bible studies, worship, prayer, fellowship and local service and outreach projects. Carpentry Student association foster personal growth, leadership, and opportunities in Building Trades, innovation, design, and engineering. Members apply and integrate carpentry and mathematics concepts though co-curricular activities, competitive events and service-learning activities which benefit the community. Students in engineering and construction-related fields are encouraged to join. 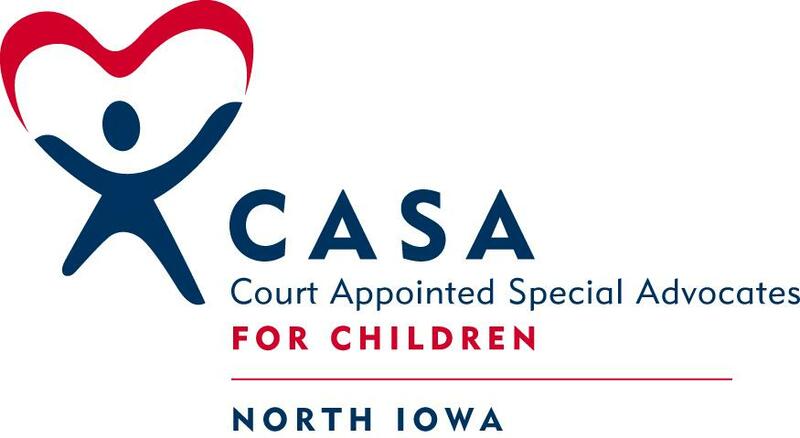 The Iowa Court Appointed Special Advocate Program recruits, trains and supports community volunteers to serve as an effective voice in court for abused and neglected children, strengthening efforts to ensure that each child is living in a safe, permanent and nurturing home. The Court Appointed Special Advocate is typically assigned one case at a time and does a variety of things to promote the child’s best interests: investigation, assessment, facilitation, monitoring and advocacy. 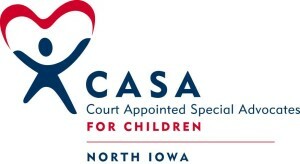 CASAs are recruited to serve in all 99 Iowa counties. Central Gardens of North Iowa is a beautiful public garden and green space located on 2.75 acres near downtown Clear Lake, Iowa. Our mission statement is: To create an intergenerational environment for the 21st century that is beautiful, safe and secure, calm and reflective, educational and recreational – a setting that tells the story of our changing seasons, our pride in our past , the uniqueness of our present and the hope of our future. Country Meadow Place is the only specialized Alzheimer’s and Memory Care community in northern Iowa. At Country Meadow Place, we’re devoted to helping Resident Embrace every moment. The Rose Garden Café features three home cooked meals per day complete with a full salad bar and a made to order menu. Our amenities include housekeeping, laundry, scheduled transportation, personalized programming, and more. Also made available are weekly salon hours, massage therapy, music therapy, and a Live2BHealthy workout program done from a seated position. Our apartments feature a personal touch with individual climate control in each apartment and the freedom to decorate as you choose. With 36 one bedroom and studio apartment options you are sure to find the perfect place to call home. Elderbridge Agency on Aging is part of a national network designed to address the needs and concerns of older adults and adults with disabilities. The agency is one of 6 area agencies on aging in the state of Iowa working to build better lives for Iowa’s aging citizens. It is our mission to enable older Iowans to live with the maximum dignity, well-being, and independence possible. Elderbridge offers multiple ways you can volunteer to help your friends and neighbors, including but not limited to: Senior Medicare Patrol, Home Meal Delivery Volunteers, and Advocacy Volunteers. For more information on Elderbridge and how you can help local seniors, stop by one of our 4 offices in Mason City, Fort Dodge, Spencer or Carroll and speak with one of our representatives. Or follow the link below to see our website. *Volunteering at Elderbridge can be a great resume builder and experience for students considering careers in social service, elder care, and advocacy/promotion of social issues. The Friends of the 457 is a group of volunteers dedicated to restoring and preserving a 1912 steam engine, the M&StL 457 better known as the Rotary Cannonball in East Park, Mason City, Iowa. The Friends have also created the Cannonball Gardens which compliments the surround area in the Park with an educational display and relaxing area for the public to come and enjoy the Park. The Friends are in need of tour volunteers for weekends on the Rotary Cannonball and to help maintain the Cannonball Gardens. Prepare her for a lifetime of leadership, and be the mentor she needs. As a Girl Scout volunteer, you’ll introduce girls to experiences that show them they’re capable of more than they ever imagined. You’ll be their cheerleader, guide, and mentor, helping them develop essential life skills and confidence. Imagine the excitement, the impact , the memories made—those are the moments you’ll share at Girl Scouts. Embark on an extraordinary journey! Volunteer today! Good Shepherd, Inc. is a not-for-profit health care corporation that serves the long term care needs of the elderly and frail in North Iowa. Good Shepherd provides a continuum of care for North Iowa and the surrounding areas that features low income housing, independent living, assisted living, and nursing home and skilled therapy/rehab services. Good Shepherd’s goal is to support seniors in maintaining or improving their quality of life. To help that goal, we provide a pleasant, healthy environment and a wide range of services and activities. Our professional staff are dedicated to respecting and serving you, according to your choices, abilities and needs. Habitat for Humanity of North Central Iowa is a not-for-profit ecumenical, Christian housing ministry that utilizes volunteer labor and donations to build or renovate simple, decent, and affordable houses for applicants in need throughout the region. Habitat qualifies families and individuals who are unable to get approved through a bank loan, and gives them 0% interest loans to pay for the materials needed. Habitat also operates a ReStore, a home improvement discount outlet that sells new and gently used construction materials, furniture, home décor, sports equipment, and other various donated merchandise to the public. Service Area: Cerro Gordo, Franklin, Hancock, Winnebago, Worth and Wright counties. ABCM Corporation operates numerous rehabilitation centers, long-term care facilities, and independent and assisted living communities throughout the state of Iowa. We have built our corporate foundation on the unique philosophy of Person Directed Care, striving to provide the individuals who live in our communities and their families, choices and input in their health care, activities, meals, and the overall direction of their lives. We focus on physical, emotional and social wellness, providing compassionate care and understanding in an environment that nurtures personal relationships, and values the unique contributions of each community member. Our services include all of the following; Rehab to Home, Out-Patient Therapy, Independent & Assisted Living, 24 Hour Skilled Nursing, Alzheimer’s, Hospice Care, Bariatric Care, Ventilator Program, Traumatic Brain Injury, Respite Services, ABCM Healthy Living Home Care. Our organization was founded over 50 years ago with the mission to provide temporary shelter, food, medical attention, and comfort to displaced and neglected companion animals and educate the public about the humane care of animals with a goal of reducing overpopulation. The heart of our mission is the operation of our pet adoption center in Mason City, IA. There are many ways you can be a part of our mission; Volunteering, donating, foster care, and animal socializing are just a few of the many ways you can show your support for the Humane Society of North Iowa. Our 6600 square foot facility houses almost 100 displaced, unwanted, and stray animals all looking for new homes. Iowa Legal Aid is a nonprofit organization providing free, high quality legal education, advice, and representation to low-income and elderly Iowans with civil legal problems that most dramatically affect Iowa’s poor and vulnerable populations. Iowa Legal Aid makes hope, dignity and justice available to low-income Iowans through legal assistance and education that protects fundamental rights, basic necessities, and access to the judicial system; challenges policies and practices that harm low-income persons; and empowers clients to advocate effectively for themselves and their communities. We rely on volunteers to help us expand our abilities to reach even more people and provide them with excellent services. If you would like a meaningful, dynamic, and professional volunteer position, please consider volunteering with Iowa Legal Aid in one of our available positions. Senior Medicare Patrol (SMP) is a nationwide, grassroots education and assistance program working to empower seniors and caregivers to protect personal information and Medicare benefits by learning to detect mistakes or potential fraud in Medicare payments. Our staff and trained volunteers work to correct errors and report abuse of the Medicare system to government authorities. Iowa Senior Medicare Patrol advises you to Protect, Detect, and Report…. Protect your personal information to shield yourself from identity theft and financial scams. Guard your Medicare card and Social Security card just like your checkbook and credit cards. Don’t carry them with you unless you expect to need them that day. Identity theft can lead to Medicare fraud. Report by asking your provider to explain the claim. If you aren’t satisfied with the assistance you receive, contact Iowa SMP at 1-800-423-2449. The Lifelong Learning Institute is a community of adults who learn for the joy of learning without grades, tests, papers or long-term classes. The Lifelong Learning Institute has members of all educational backgrounds and provides the perfect way to expand knowledge while meeting other like-minded adults., Learn something you never had the chance to study. Discuss topics that are interesting to you. Take a class that stretches your mind and teaches you new ways of thinking. For only a $99 membership fee, members have access to 2 consecutive semesters of classes. The Fall semester is from September-December, and the Spring semester is from January- May. Each semester offers more than 40 classes to choose from. Call 422-4358 for more information. Each year, thousands of people in Iowa, Nebraska and South Dakota give selflessly of themselves by making a blood donation with LifeServe Blood Center. Through this simple act, donors create the vital link between life-giving blood and the hospital patient who needs it. Every two seconds, someone, somewhere needs blood. The rarest type is the one not on the shelf when a patient needs it. At LifeServe Blood Center, we strive to help these people every day; therefore we need donors every day. We need neighbors helping neighbors and people who want to make an impact on a local level. Nestled atop a limestone bluff above the Winnebago River, the Lime Creek Nature Center is the place to learn about North Iowa’s diverse natural resources. Visitors will enjoy an impressive variety of mounted animals on display in the center, along with several aquarium displays of reptiles, amphibians, and fish. There are numerous natural resource displays and “hands-on” learning opportunities for all ages. Surrounding the Lime Creek Nature Center are 450 acres of mixed species floodplain forest, ponds, and grasslands that comprise the Lime Creek Conservation Area. The Winnebago River flows gently through this diverse area, which is listed as a prime wildlife watching site in Iowa’s Wildlife Viewing Guide. Our 46,000 clubs and 1.4+ million members make us the world’s largest service club organization. We’re also one of the most effective. Our members do whatever is needed to help their local communities. Everywhere we work, we make friends. With children who need eyeglasses, with seniors who don’t have enough to eat and with people we may never meet. Our motto is “We Serve” and that is what we do best in a variety of different ways and venues. Find out more about the Lions and join us in serving the needs of others. The Mason City Junior Chamber (the Jaycees) organization is a constructive action organization of young people centered on promoting community engagement through volunteerism and service, as well as social and individual development opportunities. We are a diverse group of young professionals who want to impact positive change on our community, better ourselves, and make new friends in Mason City. Meetings are held once a month (each 4th Tuesday) at 6 pm in the Heritage Room of First Citizens Bank at 2601 4th ST SW in Mason City. (The Heritage Room is best reached through the southeast door of the bank.) Member or not, everyone is welcome to join us! Feel free to come to a meeting and get to know our organization! Another great way to get more familiar with the Jaycees is to like our Facebook page, which we update frequently. The Mason City Volunteer Center (MCVC) represents over 40 organizations in Mason City and the surrounding area. Our goal is to inspire more youth, families, seniors, and businesses, to volunteer by improving volunteer experience and placement in our community. We work to increase the number of successful volunteer placements and to promote volunteer opportunities by emphasizing skill- and purpose-based matches during the volunteer application process and assisting in the cultivation of volunteers in our community. Essentially – we build a culture of volunteerism in Mason City. Let us help you find your purpose through a volunteer placement that meets your interests and availability! 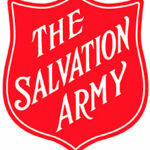 Learn more or fill out a volunteer application at masoncityvolunteercenter.com. Mason City Volunteer Services is a City run program that covers all volunteer work in City departments and around the beautiful City of Mason City. We want the good citizens of Mason City to help out the community by sharing their time and talents with us. We welcome any volunteers to come help keep Mason City the wonderful City it is! Mason City Volunteer Services offers all kinds of opportunities, from one time opportunities to ongoing programs. If you are interested in learning more about Mason City Volunteer Services, please contact Drew Verstegen at 641-421-3372 or email dverstegen@masoncity.net. Mason City Family YMCA is more than a gym – we’re a cause! 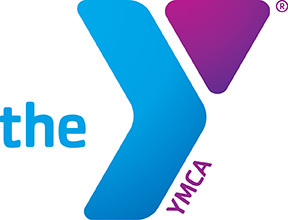 With a focus on Youth Development, Healthy Living, and Social Responsibility, the YMCA offers programs from preschool students, to After School Programs and Summer Camp, to adult group exercise and pool classes! When you volunteer at the Y, you can experience membership benefits! Check out our website at www.masoncityymca.org or call 641-422-5999 to learn more. 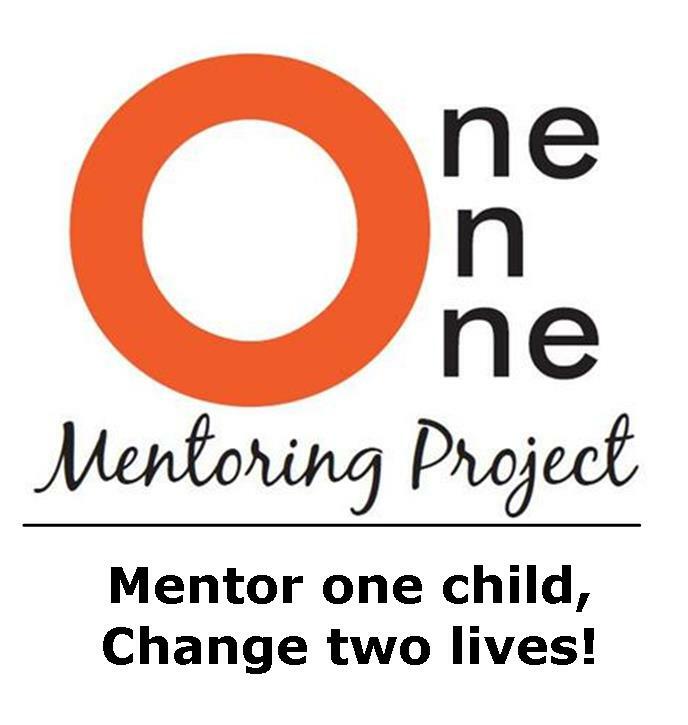 One on One Mentoring Project-Cerro Gordo County: Are you interested in being a friend and role model to an area youth? We are looking for volunteers who are interested in spending time with a youngster between the grades of Kindergarten-12th grade. Mentor Coordinators provide training, support, and plan group activities for participants. This program focuses on fun and relationship building. Many pairs have built lasting relationships and have been together for multiple years! Individual mentoring- One mentor and one youth are matched (same gender) may meet at school or outside of school. A one year commitment is required. Team mentoring- a perfect opportunity for friends, family members, or co-workers to volunteer together outside of school. 2-3 adults may be matched with 2-4 youth. A one year commitment is required. Mercy Volunteer Services and Mercy Ambassadors give time, talents and an annual monetary donation to support Mercy Medical Center-North Iowa network. There are over 15+ departments in which volunteers provide support as well as helping with many special projects. The variety of volunteer opportunities provides many options to prospective volunteers. Prospective volunteers are encouraged to shadow any areas in which they are interested. Come join the family of volunteers at The Music Man Square. The Music Man Square is visited by over 50,000 people yearly. They’ve come from every state in the United States plus several other countries. Volunteering at The Square provides a wonderful opportunity to meet people and tell the story of one of Mason City’s native sons, Meredith Willson, world renowned composer and writer of “The Music Man”. Volunteers at The Square are able to set their own hours and training is provided to get you started. You may tell the story of Mr. Willson in his Boyhood Home or The Square itself, including his museum. Another popular place to volunteer is the gift shop or ice cream parlor. Ways to contact The Square to get started: call 424-2852 or e-mail mmsquare@themusicmansquare.org We hope to hear from you soon. One Vision was founded in 1971 as Handicap Village. In 1994, we adopted the name Opportunity Village to better represent who we were. 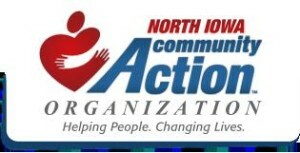 Today, our realm of services has evolved to include community based personal and employment support for individuals with disabilities; the Children’s Autism Centers in Clear Lake and Fort Dodge; and many retail businesses that provide revenue for our organization and job opportunities for people we support. One Vision continues to honor the Christian principles on which the Village was founded — that all people are created in God’s image and worthy of respect. 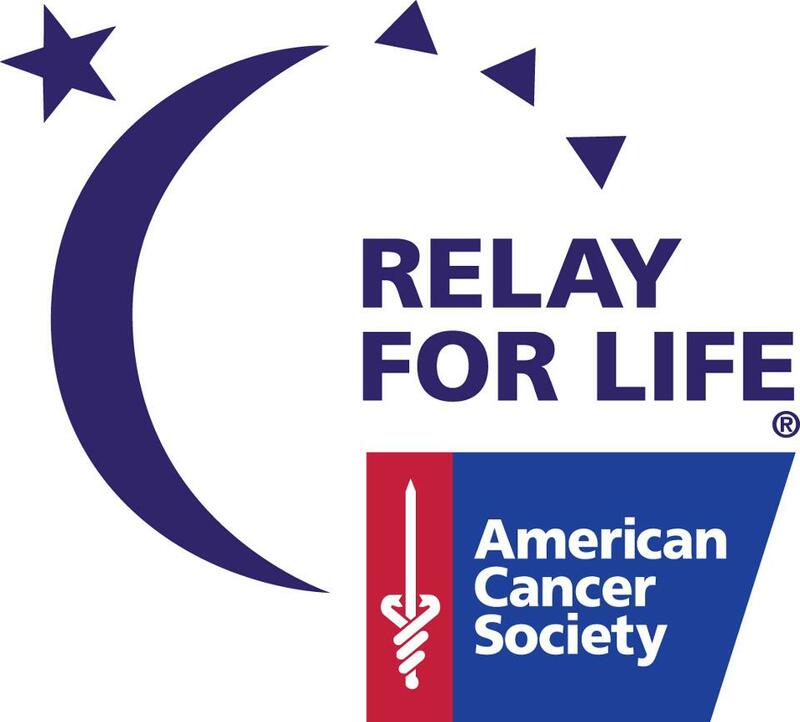 Relay For Life of Cerro Gordo County raises money for the American Cancer Society, which in turn supports and funds cancer research. This research is discovering new medicines and procedures to fight and cure cancer better than ever before. Help us Finish The Fight! 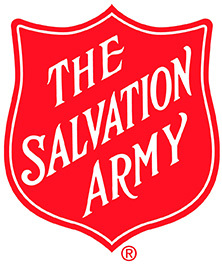 RSVP, or Retired Senior Volunteer Program, is part of a national network of programs called Senior Corps with the Corporation for National & Community Service. Locally, RSVP of North Central Iowa is sponsored by North Iowa Area Community College. RSVP recruits adults 55 and older to use their skills, talents, and life experience to help meet community needs through volunteer service. At St. Croix Hospice, we are devoted to providing the highest quality hospice services possible in coordination with your primary physician and our team of experts. As an award-winning hospice care organization, we earn our reputation by focusing on the individual needs of you and your loved ones. Our patient-centric mission and organic word-of-mouth has helped us expand to serve a large area across multiple states. We reach out to patients who may not normally seek out end-of-life care, and never turn away anyone who is unable to pay for hospice services. Volunteers at St. Croix Hospice are vital to our success. Your unique talents can be utilized in a variety of ways, from comforting patients and families to performing integral office tasks. At St. Croix Hospice, care and comfort are tailored to the unique preferences of our patients, their families and primary caregivers. We individualize care to ensure it is provided in a way that brings dignity, respect, and compassion to all those we serve. Wright on the Park is a small nonprofit who owns the Historic Park Inn, it is the last standing hotel designed by Frank Lloyd Wright in the world. Our mission is to own, preserve, and maintain The Historic Park Inn Hotel designed by Frank Lloyd Wright and to provide continuing education to the public about its place in the context of architectural history. Volunteers are our back bone. One vital role is giving docent-led tours of the Historic Park Inn. Visitors come from all 50 states and around the world to visit this historic land mark. It is great opportunity to meet people from around the world and share Mason City’s unique history. Docents are able to choose their own schedule and receive detailed training and educational information. Our volunteers also serve on various committees, plan exciting events like our Murder Mystery, assist in writing grants, work in our gift shop, and help with office needs. We have great opportunities to become involved in the local community. While we welcome volunteers in all of these areas, one of our greatest needs right now is for volunteers to serve on the education committee. The North Iowa Youth for Christ was started in Mason City in 1987, and serves 5th-12th grade students from a ten county region. YFC combines healthy relationships with creative programs to help young people make good choices, establish a solid foundation for life, and positively impact their peers. Ultimately, YFC seeks to engage these young people wherever they are found as lifelong followers of Jesus Christ. We have programs in Mason City Tuesday and Thursday Night as well as Wednesday Afternoon. Please contact Kaite@niyfc.com if you would like to learn more!